Mortal Kombat’s got ninjas of all different colors. Yellow-clad Scorpion is hot like fire and green-skinned Reptile spits acid at fools. Sub-Zero may wield cryokinetic power but he’s not the coolest martial artist in the fighting game series. That title goes to Rain, because he was created as an homage to Prince. Rain wound up being playable in the console version of UMK3 and went on to appear in subsequent games in the franchise. He comes from a royal celestial lineage, which comes across as a nod to His Purple Badness and, as his appearance evolved throughout the last decade, Rain started to look even more like Prince. He shows up in the story mode of the franchise’s latest installment but is only playable if you hack Mortal Kombat X. [Correction: I previously wrote that Rain was a playable DLC character. That’s incorrect and I’ve changed the text to reflect that.] 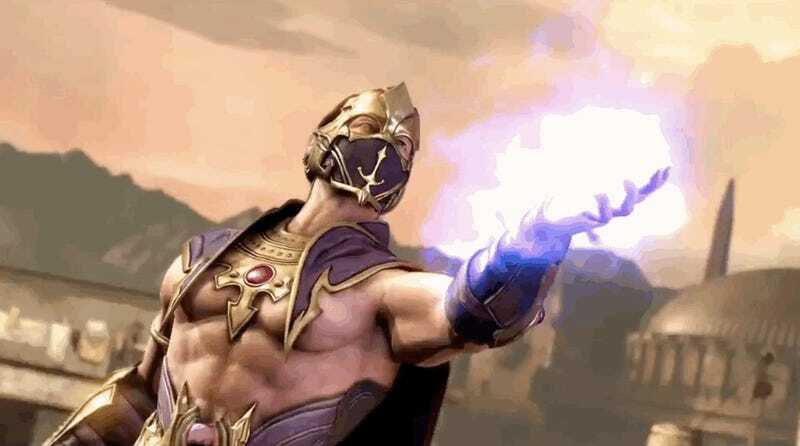 Chances are that he’ll be around in some form or another as long as Mortal Kombat games are being made, if only to pay tribute to one of the greatest musicians whoever lived.